I made this car for my husband. I used a standard 4a card. Cut the valentine paper to fit. Ran the Red and White lace down the left side of the card. 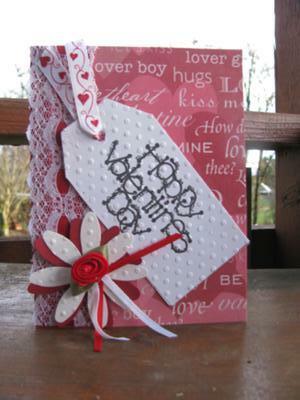 Cut the tag and stamped with my "Happy My Valentine" stamp and flowers out and put then through the small dots embossing folder. I used a small piece of Valentine ribbon through the tag. I love this card. I have been married for 30 years and have done some kind of craft through out those years. I have always made homemade cards, but never published any of them until now. I work full time for our local school district as the media asst. I have two boys who are married to wonderful women. 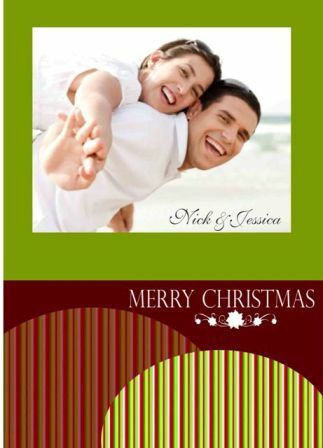 Still waiting on grandkids though :) I hope you enjoy my card.